The creation of our luxury hotel in the Highlands has been a fast track exhilarating experience. Muckrach Country House Hotel was tired, dull and un-inspiring so a sledgehammer took care of that! From the moment we exposed the granite walls and started to rebuild the interior walls with insulation and plasterboard we could feel the building’s personality. This personality has been worked with, a building steeped in Victorian history as part of the Seafield estate, a place that many people have enjoyed over the years. Many locals talk of the heyday with the famous open sandwich, a place that was aspirational and very busy. The affection for Muckrach is infectious, so many stories have driven us on to emulate the desire for Muckrach to be the best and to include the community every step of the way. 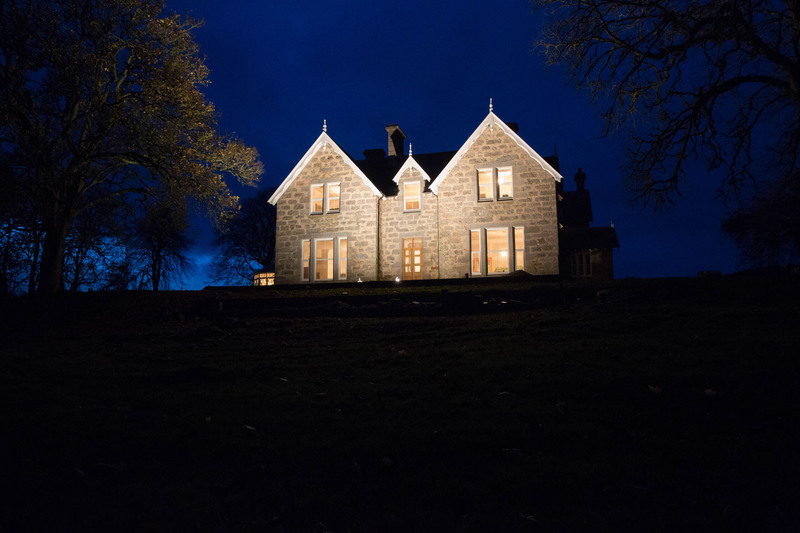 We have now named all 11 bedrooms which reflect place names and whiskies near to our luxury hotel in the Highlands; Aviemore, Glenfiddich, Glenlivet, Cairngorm, Tomatin, Abercrombie, Glenbogle, Abernethy, Glenmorangie, Speyside and Dalwhinnie. Each room is unique in shape & view and 5 bedroom interior designs have been created. All bedrooms will have crystal chandeliers, textured fabric wallpapers, Axminster carpet and relaxing armchairs with coffee table help to create a rich and relaxing experience for your well-deserved break. Tones of saffron red and black with enrich Glenbogle bedroom. 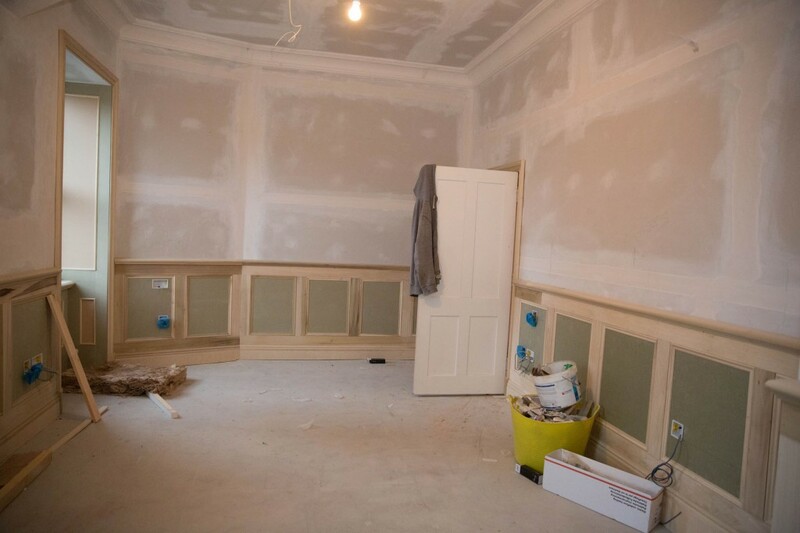 The majority of bedrooms will have wood panelling and deep coving to recreate the Victorian grandeur. 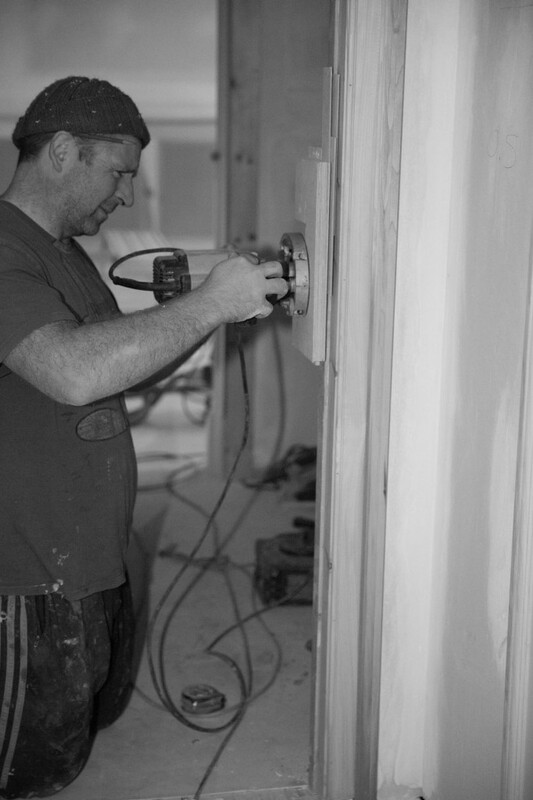 The attention to detail of the joiner, Kenny, ensures that the panelling is beautiful in its raw state and the care that the electrician, Grant has taken to ensure your comfort is paramount are all indicative of a team goal of to offer you the best. Downstairs the workmanship is as beautiful. 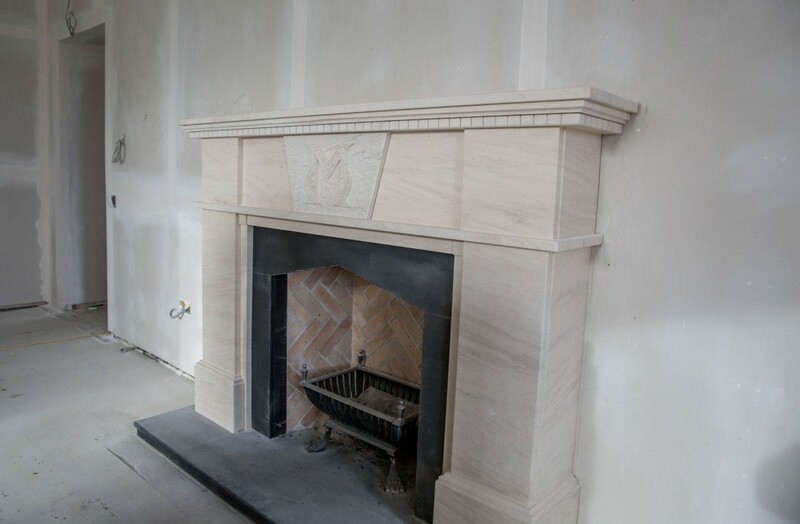 Andy has moulded and fitted stunning cornicing features as well as the deep coving and ceiling roses, whilst the Highland Joiners work on the oversized public room doors that show off the wood grains in the Douglas fir and offer a grand entrance into each room. The large limestone fire surrounds and the oak flooring enhance the splendour of each high-ceilinged public room; The Drawing Room, The Library and The Grant Room. In particular the logo for Muckrach has been etched onto the fireplace in The Drawing Room, a detail that adds to its magnificence. This week our cleaning team are removing as much dust as possible prior to the decorators starting next week. The cleaning team are already making many of the bathrooms shine, showing off their Porcelnosa tiles and chrome fittings. The decorators begin with the ceilings, followed by the wallpapering the week after. For over a month they will be added fabric wallpaper to all the walls in the hotel. In the new year, flooring and carpets will be fitted, chandeliers hung, pictures and paintings affixed and the furniture placed in all the rooms as we build towards the opening. Muckrach Country House Hotel will soon have a live booking system if you have an opportunity to stay with us. The Coffee Shop, restaurant and bar will open its doors to non-residents in April 2015 also. We look forward to being able to welcome you next Spring.